Democrats threw all the slime in their arsenal at Brett Kavanaugh during his confirmation hearings. But Republicans shrugged off the fake news, lies, and smears and confirmed Kavanaugh to the Supreme Court. 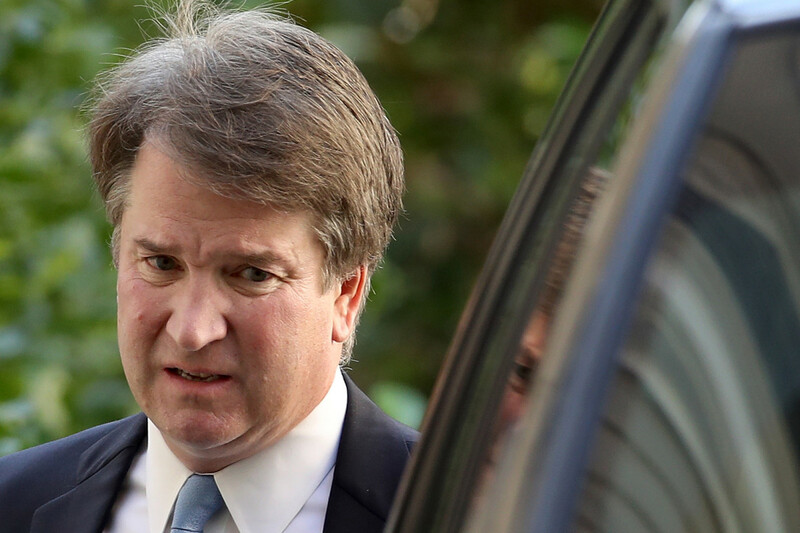 And now Brett Kavanaugh is about to give Donald Trump a win no one saw coming. The Supreme Court just announced which cases they will hear in the October 2019 court term. One of the headline cases is between the Trump administration and the appeal of a Kansas state Supreme Court decision to vacate the convictions of three illegal aliens who stole social security numbers from American citizens to get a job. The Kansas state Supreme Court ruled that the 1986 Immigration Reform and Control Act – which granted amnesty to millions of illegal aliens – prevents prosecutions based on information submitted on federal I-9 forms by states. “It is Congress’s plain and clear expression of its intent to preempt the use of the I-9 form and any information contained in the I-9 for purposes other than those listed,” the Kansas Supreme Court ruled. The Trump administration argued that the Kansas identity theft law did not run afoul a 2012 Supreme Court case that held Congress created a framework to prevent illegal aliens from obtaining jobs. Since this case centers on immigration – which is the centerpiece of Donald Trump’s “Make America Great Again” agenda – it will be one of the marquee cases in the court’s October 2019 term. Many court observers believe that with Kavanaugh on the court, Chief Justice John Roberts has the ability to guide the court in a more conservative direction. Pundits do not believe the court agreed to hear this case in order to uphold the Kansas state Supreme Court ruling. So a victory in this case would hand states a vital tool to crackdown on illegal immigration. Employment is one of the biggest magnets enticing illegal aliens to sneak into the country. Turning it off would help cut down on illegal border crossings. High-profile agenda items like the border wall get all the headlines. But interior enforcement issues like visa overstays and identity theft are some of the strongest drivers of illegal immigration. Addressing those cracks in the immigration system will truly make all the difference in ending illegal immigration. The Trump administration winning this case at the federal Supreme Court will deal a severe blow to the open borders crowd. They count on the fact that states can’t prosecute illegal aliens for fraud to keep the door open and flood the country with cheap foreign labor. But that would all change if Brett Kavanaugh casts the deciding vote to overturn the Kansas state Supreme Court decision.